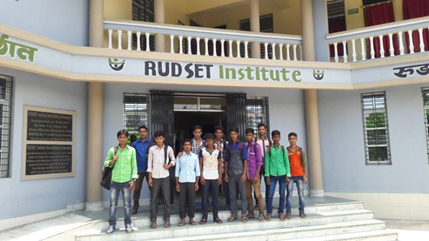 Thirteen students from Hajipara and Kabilpur village in Bihar got admission under various courses like Mobile repairing, AC repairing in Rural Development and self-employment training Institute (RUDSETI) in Berhampur. The students were noticed by Rehab team as dropouts and were enrolled under Remedial classes Programme. These students covered a long way from dropouts to skilled students. Mr Joydev Mondal director of REDSET institute address the students on entrepreneurship skills. It was an informative and awareness session for the Rehab students. Students are happy and enthusiastic to join the classes.